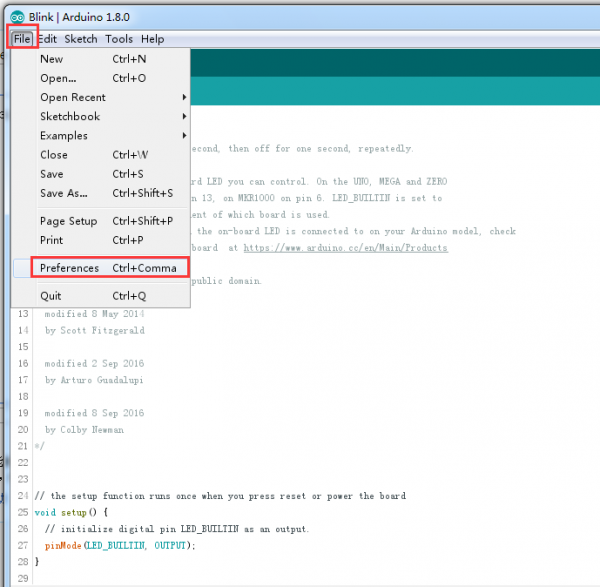 Enable users to directly download and debug programs through Micro USB, free from programmer. Large-scale I/O ports with gold plating, easy to screw wire on it or to sew the board on the clothes with wires, no need to solder. A group of gold plating power interfaces of honeycomb type, convenient to use. 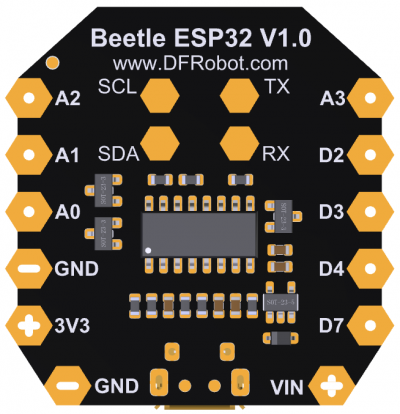 Beetle Esp32 is compatible with Arduino , and the board type should be selected as “FireBeetle-ESP32”. Wi-Fi Protocol: 802.11 b/g/n/d/e/i/k/r（802.11n, high speed can reach to 150 Mbps), converge A-MPDU and A-MSDU, supporting 0.4us protecting interval. 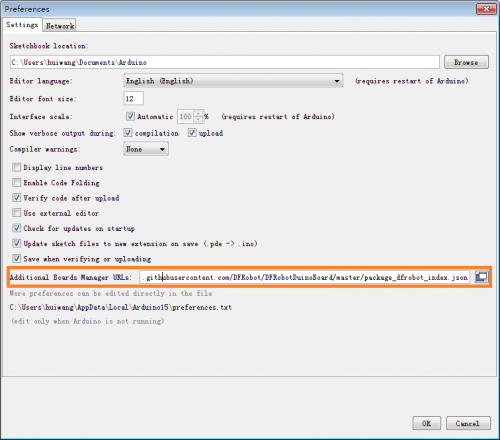 Bluetooth Protocol: comply with BR/EDR/BLE standard of Bluetooth v4.2. 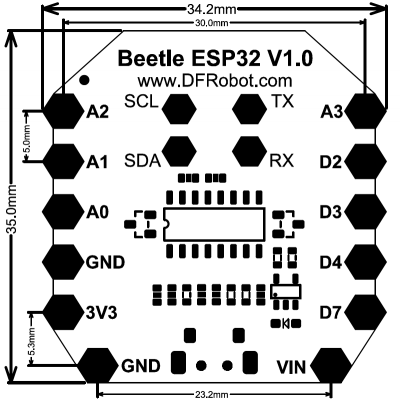 Beetle ESP32 adopts CH340 serial chip that can be used without driver among most devices. 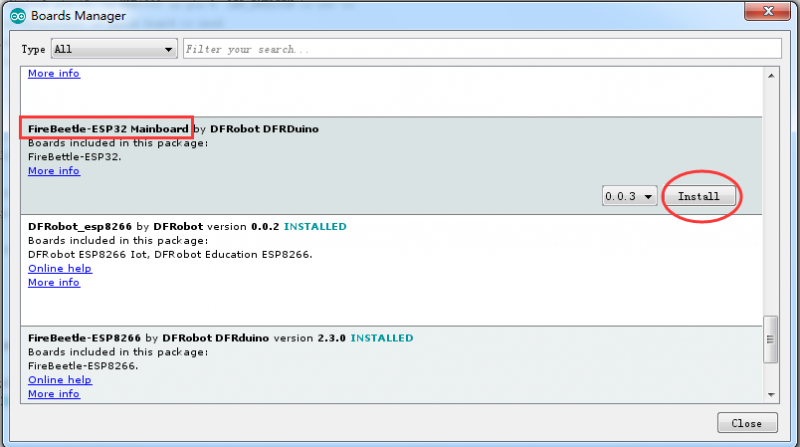 If you find the driver is not installed automatically after plugging into the device, you can install it manually: click to download the CH340 driver program. 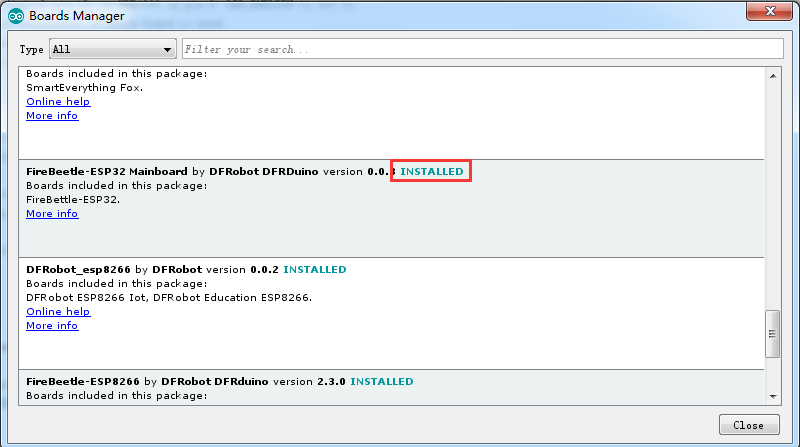 Plug FireBeetle to your computer, install the driver manually. 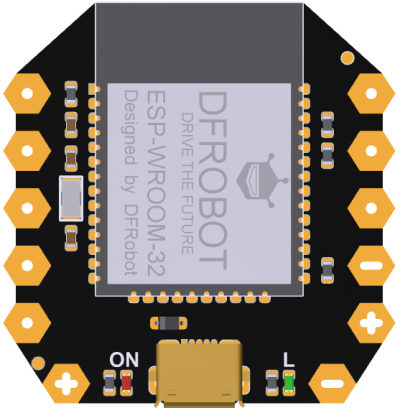 Get Beetle ESP32 Microcontroller from DFRobot Store or DFRobot Distributor.